← I will not ‘Stand Down’…. If they do tread, I know I will be ready! They are both going to tread on you full on and without a care. As long as the FED is allowed to print money out ofthin air, both Robama and Obamney are going to preside over a monetary system set up to devalue each dollar in your wallet or purse even as you walk around trying to save it. I agree, the erosion of the value of money is a horrific tax. The saddest part is that so many Americans do not even realize that is why their buying power is decreasing, they just blame the oil companies, corporations, farmers, etc. companies don’t pay taxes, they just raise their prices so in the end people still pay. You and I know that but most people see how little their dollar buys an blame corps. instead of understanding that a business passes along increasing expenses to the customer and that printing dollars out of thin air is a tax which reduces buying power… sad…. the politics of envy. I didn’t understand it at the time, but the LBJ great society started it. and it has just gotten PROGRESSIVEly (intentional caps) worse! Excellent warning especially since the election results are now in and it is over. 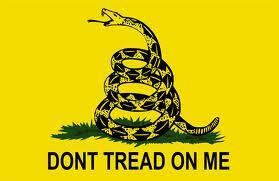 We, the people, are now going to have to stand up and fight like mad dogs to hold onto our freedom and our rights. Not sure why pepp but this morning I am at peace. I know God has the plan and that I cannot know the mind of God but I will trust His judgement because He never changes and that ALL things work to the good of those who love Him. I just hope that on my day of judgement I will be found in the Book of Life. Our country has fallen so far away from God and that is finally fully dawning on me. Four states passed gay marriage and two states approved marijuana for recreational use. It is going to take more than new leadership in Washington, it is going to take new leadership in the hearts and minds of the people. Yes, our country has fallen away from God. I imagine God has His ways, but right now it is hard for me to feel any peace. I feel I now know the outcome so the constant stress of waiting to find out which way our country is going to go is now in place. For me it is better to know than not know. It’s like waiting on a diagnosis and when the results come in you can then have the “not knowing” out of the way. Maybe that’s what you mean by a certain amount of peace. Or maybe not. Here’s one for you. Pat Smith did an interview with Matt Lauer and she said her son first believed in Christ, country and his family. This is one of the mothers who lost her son who was one of the Navy Seals in the Benghazi disaster. When the interview was played, NBC took out ” my son believed in Christ”. The MSM is now taking out God in their interviews with people, another way to keep Christianity down. You said in a former article that we Christians must stand up for our beliefs. That is more urgent now as the MSM now tries to get rid of God. Yes pepp knowing is better than not knowing for sure. I have always been one to want to get the ‘taking of the medicine’ over with so I can get to the healing part. Good people must continue to speak up for good over evil. What I was trying to convey is that ultimately I can only control myself and that I will try harder to be a living example of all I believe in my heart. Obviously we (I mean Christians who allowed the moral downfall to continue in silence) are responsible for we have come to. Most people don’t believe that America will ever fall or that they have already lost anything. It will take facing hard reality before they wake up and realize they have chained themselves to the anchor of the ship and are sinking quickly to the bottom….. I made an error in my comment. Sean Smith was the information officer, not a Navy Seal. I needed to correct myself. You are so right. We can only have control over ourselves. I will continue to live by the principles on which I was raised. I cannot change them now, nor would i want to do so. I was not brought up to “be given everything” but instead that we have to work to get the things we do want. I never thought anyone needed to “give” me something like a large part of our Americans now believe. I do not understand this mentally and it is foreign to me and the Hawk. God Bless you both pepp! My prayers are with all of us in the same boat! Thank you. We shall do the same for everyone in this dilemma we face now. We can all use more prayers…. Short, sweet and to the point. Me, I am ready if I am tread upon. Actually, we have been for quite some time now. It isn’t easy making some decisions but had to be done. My prayer is that I/we won’t have to implement those plans. This still is the best message. Even to both Parties. I just don’t know how I am going to back it up…. It is going to be a challenge as we are just now nearing that magic age of 65! We are still able to do some things but physical limitations are setting in. Not exactly how we envisioned the so-called ‘golden years’. Not that we ever expected to quit working altogether but now we are scrambling to try to figure out the best way to survive. Not knowing exactly what they have planned for us makes the challenge even bigger. I pray for wisdom, health, and mental clarity…..